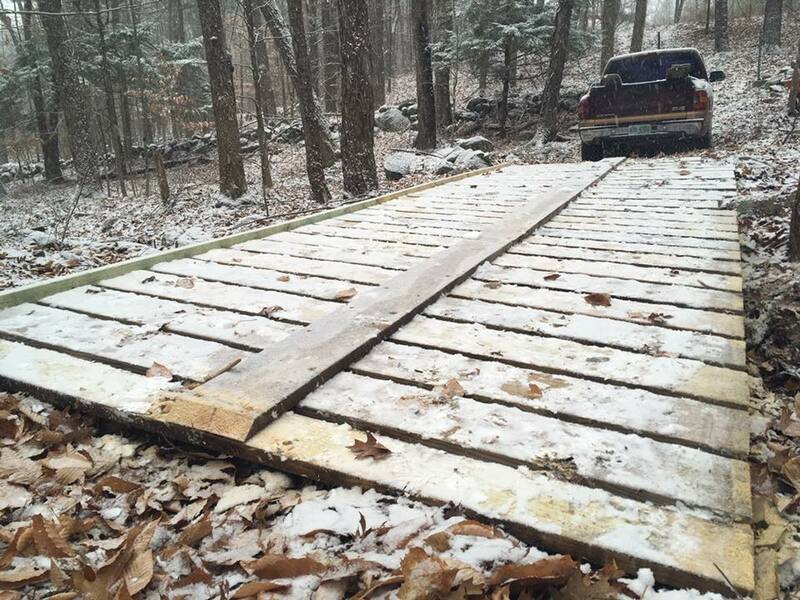 Max Begin, Bryan’s son, re-decked the pallet bridge behind the Fenton’s house near the Dam for us as part of his Coe Brown project. Looks like he just barely beat the snow. This kid is going places.